2008 Worcester Locomotive Society Members "Have a Go" Day. Saturday 18th October saw the Worcester Locomotive Society, supporting group to the South Devon Railway hold its first 'Members Day' at the South Devon Railway. 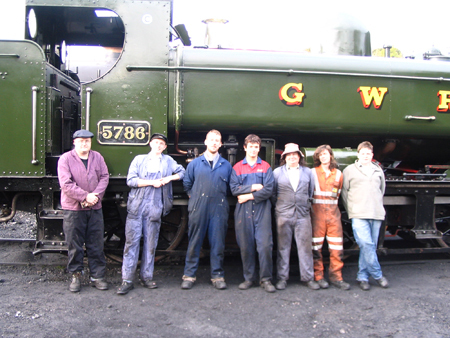 The day was organised to allow society members the chance to get up close and personal with the group's own locomotive currently in service, GWR 57xx pannier tank 5786, harking back to the days of members open days at the Bulmers Railway Centre in Hereford prior to the move to the SDR. 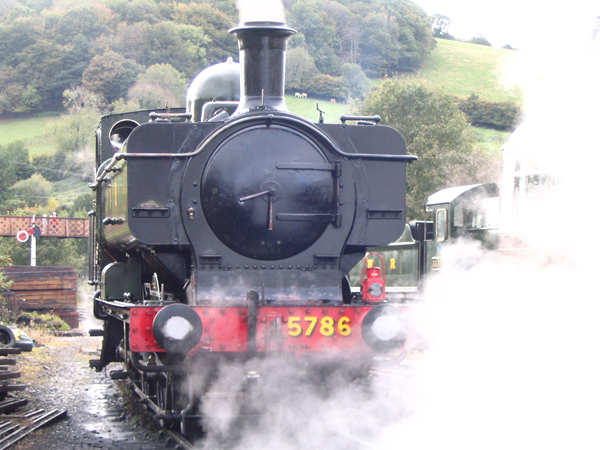 Society members were able to enjoy the autumnal sights and stunning views of the Dart valley from the comfort of a specially arranged train hauled by 5786 plus the added bonus of footplate rides for those who wanted to experience the footplate atmosphere. 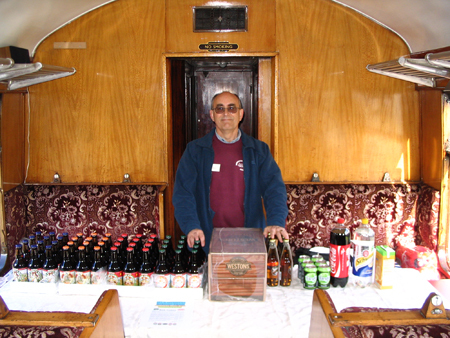 On train facilities were available throughout the day in the form of Weston's: Great Weston Revival (GWR) Herefordian cider to give a taste of home for those members travelling down for the event plus several locally produced real ales from Skinners Cornwall Brewery. The members train operated for 3 round trips during the day, culminating in a final round trip being an evening fish and chip train organised by the society but open to all, where the headcount finally totalled 72, which the organisers were more than pleased with. Although the event was slightly different from previous year's special trains of an evening diner, it was intended not only recruit new members but to allow its members to get more 'hands on' and promote the society's current projects, presently the 16ton mineral wagon nearing completion at Buckfastleigh and eventually a rebuild to working order of ex Stewarts & Lloyds quarries 0-6-0 saddle tank 'CARNARVON'. 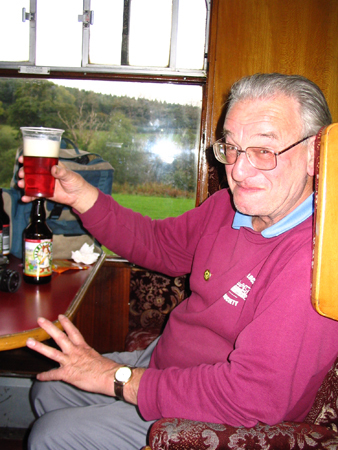 Hopefully following positive responses from the membership (of which there have already been several) the event will be penned in for 2009, with the possibility of different activities to get involved with to provide a full day of activity to recruit new members, get to know the railway and continue to promote preservation of heritage rolling stock for generations to come.